On July 12, 2017, the Colombian government announced the expansion of Puerto Sábalo-Los Monos and Monochoa, two indigenous reserves, also known as resguardos indígenas. These areas lie in the buffer zone of Chiribiquete National Park in the province of Caquetá. The combined expansion of Puerto Sábalo-Los Monos and Monochoa indigenous reserves amounts to 1.4 million acres (570,000 hectares), which is roughly the size of the state of Delaware. As a result, 2.5 million acres (1 million hectares) of forest in the northwest Amazon basin are now protected within their boundaries. The Andes Amazon Fund congratulates the Colombian government for achieving this important victory for environmental conservation and cultural preservation in the region. Puerto Sábalo-Los Monos and Monochoa will help form one of the largest bio-cultural conservation corridors in the Colombian Amazon, equaling the size of the state of Virginia. 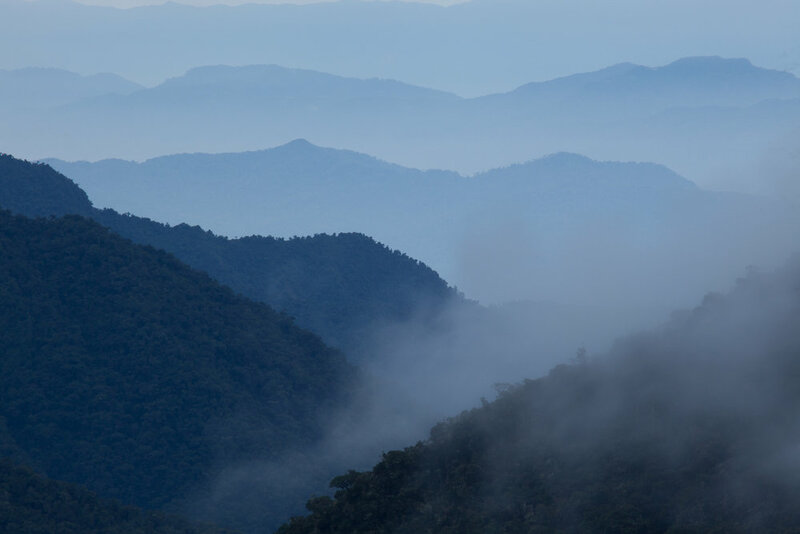 Specifically, the two indigenous reserves will connect Chiribiquete National Park with Colombia’s largest indigenous reserve, Predio Putumayo. Along with various isolated tribes, the Murui Muina (Witoto) - an indigenous group comprised of more than 40 clans - call this area home. Indigenous reserves provide local communities with the responsibility and right to manage their land, while maintaining its ecological function. Many studies show that this is one of the most effective ways to combat deforestation and the loss of biodiversity across the region. Colombia has witnessed these benefits firsthand, as “annual deforestation rates inside tenure-secure indigenous forestlands were two times lower than those on similar land without security,” according to Amazon Conservation Team (ACT). Out of all the provinces in Colombia, Caquetá has the highest rate of deforestation, losing 72,265 acres (29,245 hectares) in 2014 alone. Therefore, the expanded indigenous reserves will be valuable tools for fighting forest loss and promoting sustainable land use. 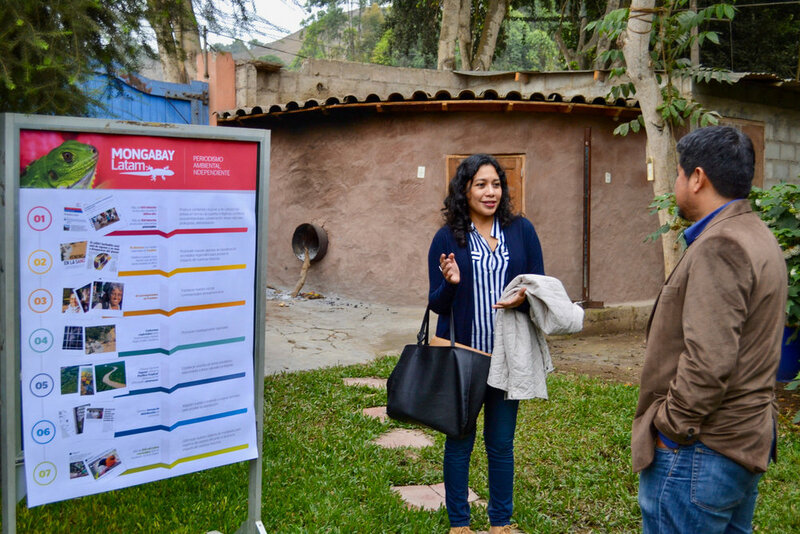 The Andes Amazon Fund, along with other donors such as the Gordon and Betty Moore Foundation, supported ACT’s work to help expand the resguardos. ACT was able to do this through close partnerships with indigenous communities in the Caquetá river basin. The organization continues to work with these communities and has set the following goals: 1) protect isolated indigenous peoples, 2) strengthen local and environmental governance, and 3) create and expand indigenous reserves. ACT also obtained a formal agreement with the National Rural Development Agency (INCODER) – renewed with the Colombian National Land Agency – to form and expand indigenous reserves, like Puerto Sábalo-Los Monos and Monochoa. The alliance has been further supported by the Colombian National Park System. The Andes Amazon Fund believes that these partnerships, especially with the local communities, will enable even more victories for environmental conservation in Colombia in the future. Gordon and Betty Moore Foundation, "Indigenous reserve expansions create massive Amazonian conservation corridor in Colombia"
Amazon Conservation Team, "Better Protection for Chiribiquete, Northwest Amazon's Most Important Protected Area"
El Espectador, "El corazón del Amazonas (casi) a salvo"
Presentations were given by both AAF staff and individuals from Peruvian government institutions, including the National Protected Area Service (SERNANP), the Forestry and Wildlife Service (SERFOR), and the Ministry of Environment. In addition to other important topics, grantees learned more about the process of establishing Regional Conservation Areas and Private Conservation Areas, how to conduct a cost-benefit analysis for a protected area proposal, and the new process for forestry zoning. Grantees also presented information about the goals, work, and impact of their organizations. This provided them with the opportunity to learn more about each other’s projects and encouraged future collaboration between NGOs. 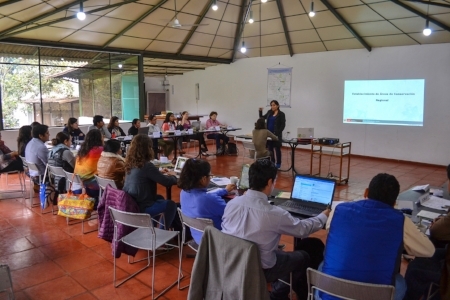 Grantee organizations in attendance included Asociación Peruana para la Conservación de la Naturaleza (APECO), Asociación para La Conservación de la Cuenca Amazónica (ACCA), Amazónicos por la Amazonía (AMPA), Centro para el Desarrollo del Indígena Amazónico (CEDIA), Centro de Conservación, Investigación, y Manejo de Áreas Naturales (CIMA), Conservation Strategy Fund (CSF), Asociación Ecosistemas Andinos (ECOAN), Instituto del Bien Común (IBC), Mongabay-Latam, Nature and Culture International (NCI), Propurús, and Sociedad Peruana de Derecho Ambiental (SPDA). The Municipal Conservation Area of Santa Rosa del Abuná is one of the most significant protected areas that Bolivia has created in the past decade. Established on April 3, 2017, the area is comprised of intact Amazonian forest in northern Bolivia and spans 424,601 acres (171,834 hectares). In Bolivia, protected areas created at the municipal level share the same legal strength as national areas, and are part of the national protected area system. The new Santa Rosa protected area is located in the Department of Pando and the Municipality of Abuná. This region is close to the borders of both Peru and Brazil. However, outside of a community of around 230 Brazilian immigrants, very few people live near the area. Santa Rosa is an important milestone because it empowered a partnership between the municipal government, local communities, and la Asociación Boliviana para la Investigación y Conservación de Ecosistemas Andino Amazónicos (ACEAA) to create a large new protected area sought by the regional government of Pando. Santa Rosa is classified as a Category VI protected area by the IUCN. This categorization allows for the sustainable use of natural resources found in the area for non-industrial purposes. As a result, the newly created protected area has significant economic benefits for the people of Abuná. Non-timber forest products such as Brazil nut trees and acai grow freely in this area, and protecting the forest ensures that they can be sustainably harvested over the long term. Local families will benefit from the revenue generated from the harvest of these products, offering an alternative to illegal logging or mining as a source of income. Therefore, Santa Rosa will function as an integrated model of biodiversity conservation and sustainable forest use. The creation of this new protected area would not have been possible without the help of Andes Amazon Fund grantee, ACEAA. Now that the area has been created, AAF will support the establishment of protection and management systems for Santa Rosa, including a forest monitoring system and training workshops for the local population. We hope that the success of this area's creation will lead to additional conservation accomplishments in Bolivia. Peru’s National Forest and Wildlife Service (SERFOR) granted a new conservation concession in Kosñipata. This marks the 15th protected area that AAF has helped establish in Latin America. Located in the southern region of Cusco, the conservation area is 4,459 hectares (11,018 acres), or the size of approximately 11,000 soccer fields. These types of government concessions can be renewed after 40 years and are designed to protect biodiversity, promote environmental education, and foster related research. In particular, the Young Conservationists Association of Alto Pilcomayo requested the grant to stop illegal logging and hunting in the area. Kosñipata is home to a wide variety of plants and animals, some of which are endangered such as the spectacled bear. AAF supported the work of the Amazon Conservation Association, a strong advocate of the conservation concession as well. More information about the area can be found here. 2016 was a very busy year for AAF. In total, the Fund helped establish 5 private conservation areas (PCAs) or áreas de conservación privada (ACPs) in the region of Cusco, located in the south of Peru. PCAs are a type of protected area. Peru’s National Protected Area Service (SERNANP) defines them as privately-owned properties that are samples of natural ecosystems. The owners of these areas, rather than the state, are responsible for conserving and managing the land. SERNANP further explains PCAs biological importance, "in recent years this instrument of private conservation has become more important, as more and more people, communities, non-governmental organizations, and companies are committed to contributing to the conservation of our country's biological diversity and connect the large fragments of ecosystems." In total, 694 hectares (1,714 acres) were dedicated as PCAs. This included Santuario La Veronica, Machusaniaca I, Machusaniaca II, Fundo Cadena, and Wayqecha. Species endemic to these areas include pumas, green-and-white hummingbirds, and andean bears. To achieve these PCAs, AAF supported efforts led by the Amazon Conservation Association. Program Director Enrique Ortiz presents AAF's contribution to Sierra del Divisor's initial management. AAF is proud to announce the creation of Sierra del Divisor National Park in Peru. President Humala signed a law into effect on November 8th, establishing the new conservation area. Located in the western part of the country neighboring Brazil, the massive park spans more than 1.3 million hectares (3.2 million acres). According to the Peruvian Times, Sierra del Divisor, "is larger than Yosemite and Yellowstone National Parks combined. [It] straddles parts of the Loreto and Ucayali regions and closes a final link to ensure the protection of a 67mn acre area known as the Andes-Amazon Conservation Corridor." Sierra del Divisor is a major win for conservation efforts in Peru. The park hosts an estimated 3,500 species of plants alone. Threatened animals in the area, such as jaguars and tapirs, will also be protected as a result of Sierra del Divisor's creation. Still, native flora and fauna are not the only ones benefiting from the park's development. The protected area is also the home of indigenous communities, namely the Iskonowa. AAF committed $1 million USD to Sierra del Divisor's initial management. 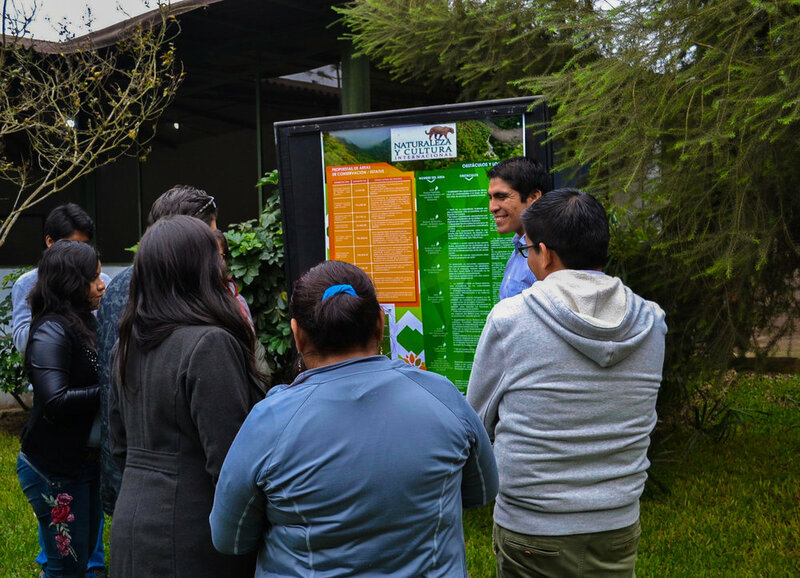 During the process of creating the park, the Fund also supported the efforts of the Peruvian Society for Environmental Law (SPDA). Banner photo by Walter Wust.